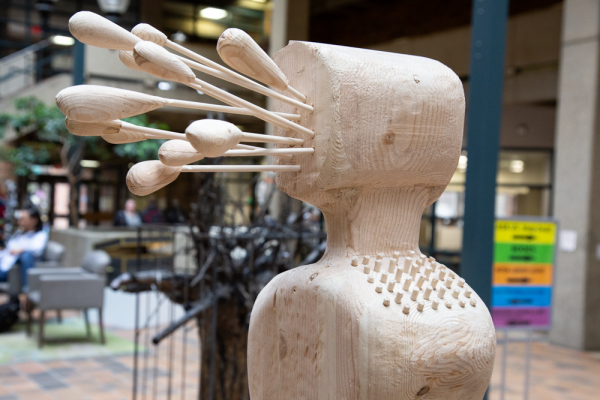 Royden Mills has done it again and set up an astonishing exhibit in the Rutherford Galleria and in Rutherford Library South. 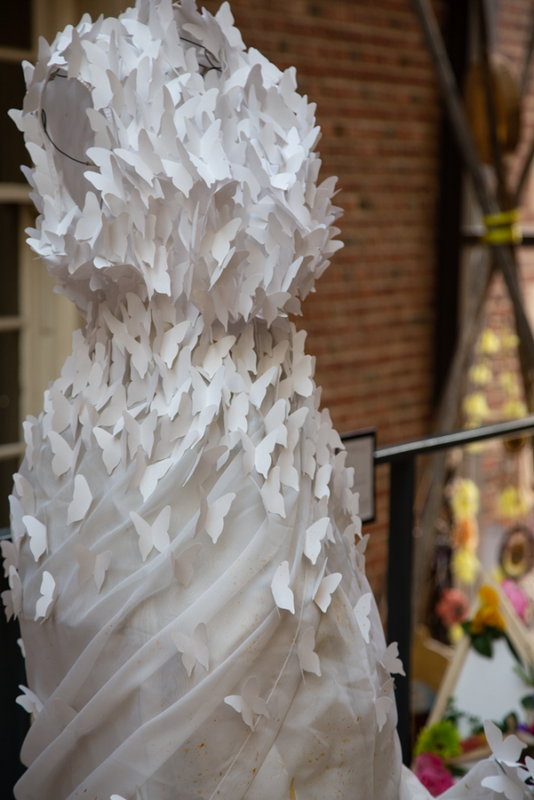 Undergraduate students, graduate students and local artists have thought about an issue that matters to them and how it is represented in material that we use. The hope is to elicit a response in you, big or small, and figure how we feel about these issues of importance. Life is short and how do we spend our time? By going to school, going to work, and then retiring, our infinitely quick, precious lives are over. How do we deal with our own mortality? What is life really about? Have we fulfilled our purpose and helped make a difference? Have we stopped living in the present moment, missed brief moments of brilliance or revelations that stand out to change us? When we use material or “matter” it is soon gone; discarded; and forgotten. Matter is how we navigate the world with our bodies and what material we use to do so. This art exhibit portrays the artists’ take on social movements or issues that are important to them. We, as the audience, will see what each piece means to us; what issues in the world we care about; and how we have contributed to its success or decline. Will you let yourself be moved even if you do not completely understand? Come to the Rutherford Library Galleria to feast your eyes on this unique exhibition. The Opening Celebration is on Saturday, April 13, 2019 from 1 pm – 4 pm. 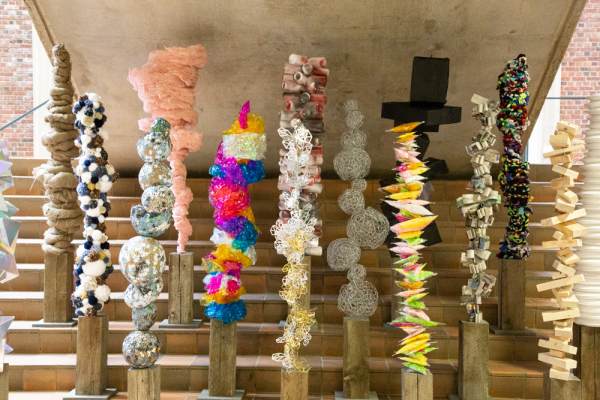 Come back on Saturday, April 27, 2019 from 1 pm – 4 pm for International Sculpture Day! There will be a talk led by our artists. Everyone is welcome. 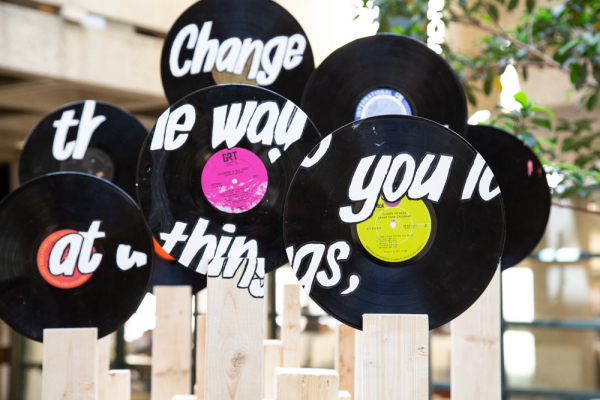 The exhibit will only stay up until May 11, 2019, so be sure to head down to the Rutherford Library Galleria after your exams are done for a relaxing viewing. You will not want to miss out! 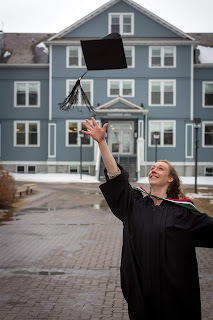 Congratulations to you, University of Alberta graduate! You’re ready to hit up the real world with your brain full of academic wonder, but what happens when someone tries to challenge your knowledge base once you’ve left U of A’s bunny-frolicked campus grounds? Which academic resources can you use as an alumni to solidify your arguments? Fear not! Your University of Alberta Libraries have got your back! The first thing you can do is stop by the ONEcard office to get your Alumni card, which will also act as your library card. Your Alumni library access allows you to borrow up to 30 books, periodicals, or other specialized materials from any of our U of A libraries. Additionally, your Alumni ONEcard will score you some other great perks. Join us on-campus to do your research and pick up a temporary CCID so that you can dive into our full suite of electronic databases. If you’re an armchair academic and would like to search databases from your couch, sign up to access our Alumni e-resources or check out open access sources such as ERA or the Directory of Open Access Journals. No matter what your alumni library needs are, our fantastic library staff are available to help you. Just Ask Us or stop by any of our library locations and chat with our folks in person! Photo Credit: Lane Anderson. 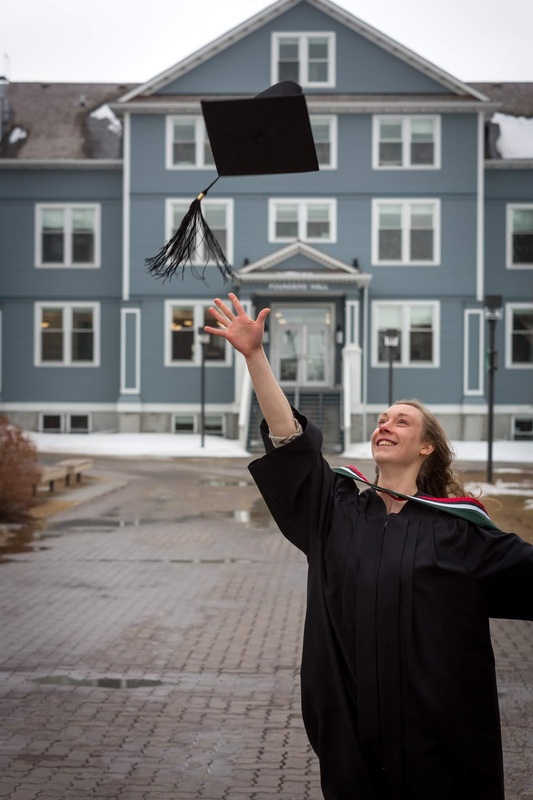 Katelynn Cook, '18 BSc, celebrates her success at Augustana in front of iconic Founders' Hall. Congratulations to the winners of the 2019 Images of Research! We are so pleased to present the outstanding entries of the Images of Research competition for 2019. Out of 67 eligible entries, a panel of judges chose the winners and semifinalists; all will be on display in HT Coutts Education Library from April 4 to 30, 2019. "A mathematics curriculum often seems be designed or delivered as linear: a sequence of predetermined, sometimes unrelated, topics with little chances for learners to revisit them from different perspectives. This suggests learning as accumulation with predictable outcomes. However, learning, observed through a complexfied worldview, is neither linear nor predictable. Learning is a self-organizing process through which a learner and her environment co-evolve, and a recursive elaboration through which a learner transforms her previous understanding. This view demands a recursive curriculum that changes along its formation. What might such curriculum be like in theory and practice is my research focus. 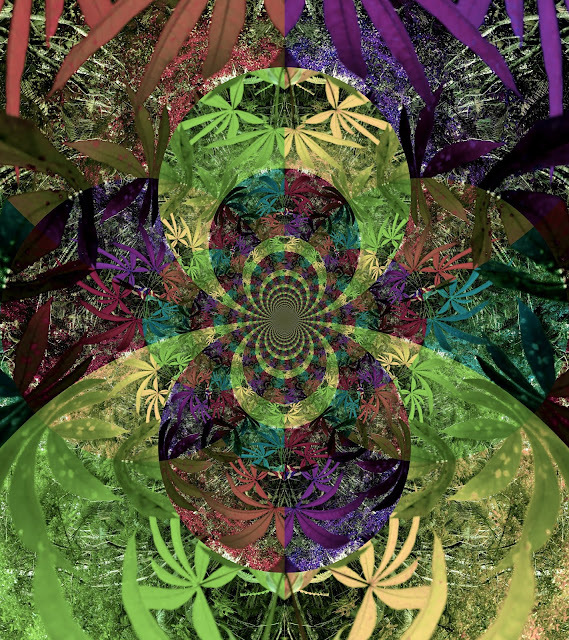 This fractal-like image is a working visualization of recursive curricula. The nodes represent equivalent contents. Each branch represents certain mathematical/curricular event(s) that allow a content to change into or connect to another. The infinite spiral is made of loops that represent different development stages of an entry content (highlighted in green) and are ordered by the level of abstraction. The nodes on the same loop are different forms of the same content. Any node can be an entry point for many recursive curricula in the same or different dimension. This image represents abundant curriculum possibilities rather than a fixed one." 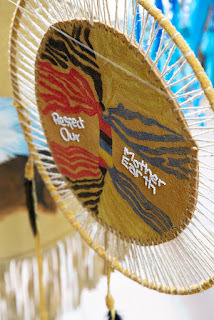 "These snowshoes were made by my Dad and Grandpa Fern. 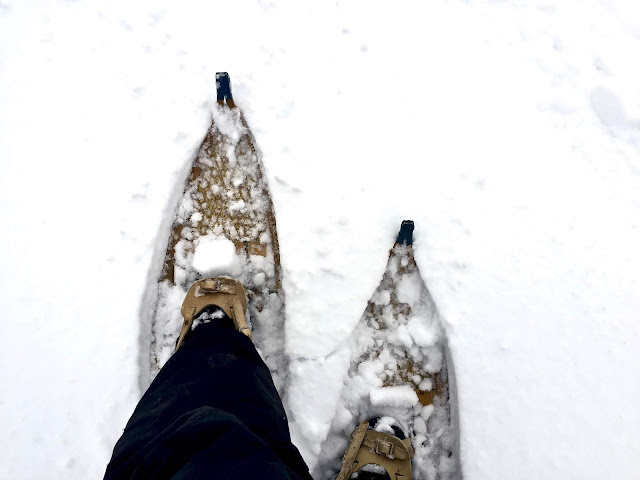 First steps: build a snowshoe form, steam lengths of straight pliable wood, bend it over the form to shape the shoes, rivet ends together, remove shoes from the form and allow to dry. 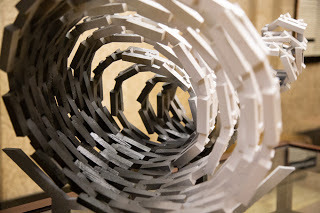 Second steps: cut moose rawhide strips, once frame has dried, weave the rawhide through all the predrilled holes in the frame to create the webbing of the snowshoes. Third steps: attach the leather harnesses to the snowshoes. Research is ceremony because it is life changing and it requires preparatory steps long before the final event (Wilson, 2008). First steps: using the Meaningful Physical Education (MPE) approach (Beni, Fletcher, & Ní Chróinín, 2017; Ní Chróinín, Fletcher, & Griffin, 2018), piece together flexible lesson plans using experiences that are enjoyable, challenging, communal, personal, and improve abilities. Second steps: weave student choices, culture, context, and community into the plans. Third steps: Reflect on teachers’ and students’ physical education experiences in all environments: air, water, land, snow & ice. Harness physical education to life long love and joy for physical activity." "Brazil is a fusion of powdery sands, mystic jungle, thundering waterfalls, and an exuberant carnival culture, much like the colors and shapes in the image presented here. Our focus is the Atlantic forest, the Mata Atlântica, which home to many species, some of which live nowhere else on this planet. Around 85% of the Mata Atlântica have been deforested and unsustainable land-use techniques, such as the slash-and-burn land management, had a detrimental effect on the fertility of the leftover soil. While providing a short-termed boost with nutrients, this approach leaves the soil depleted shortly after. Following nearly forgotten Amazonian indigenous soil management practices, we joined a project on using biochar, charcoal made of biomass, for cost-effective and sustainable soil amelioration. It was applied in different ways to optimize its beneficial effects on soil stabilization and the growth of perennial crops, such as cassava. The image is made up of leaves of cassava plants on a backdrop of nearly virgin Mata Atlântica. Small-scale plantations in the midst of the Mata Atlântica – an agroforestry approach aiming at protecting the remains of this unique habitat in harmony with sustainable food production on the already deforested land." “Re-Packing my Library” depicts the collection process that goes into writing a dissertation. It shows a collection of books, papers, pamphlets, programs, and notes amassed over three years of research packed (once again) hastily into my father’s old bag the night before yet another departure. 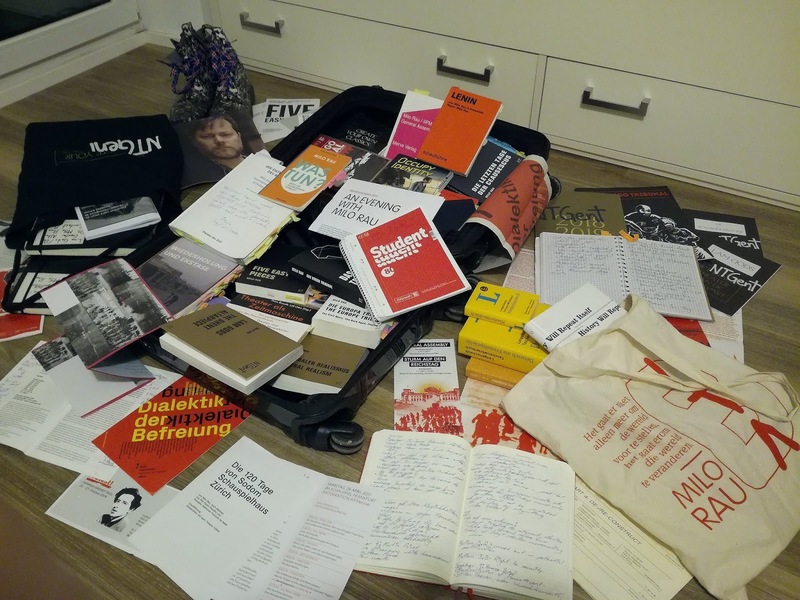 Taken in my small Munich apartment, this picture shows material collected over the past three years about the Swiss-German director Milo Rau and his production company, the International Institute of Political Murder, for my dissertation. The documents in and around the suitcase are the result of the numerous research trips to performances, political actions, conferences, lectures, and interviews that have taken me – and my battered suitcase – across Europe. These research trips have helped me understand Rau’s theatre – his political aesthetic, complex themes, and directorial choices – and has given me a greater respect for Rau’s research trips (to Moscow, Bukavu, Kigali, Bucharest) in his near-obsessive search to understand war, genocide, and justice. The collection of papers and books spilling out of the suitcase are a reminder of late nights, cheap hotels, long waits at airports, and even longer train rides, but also the physical, material proof of my own obsessive, international search for understanding." "Here, we have experimentally measured the wavefunction of a single buried arsenic atom peeking through a silicon surface. Its complex form perfectly captures one of the most fundamental properties of quantum mechanics: the location of an electron is based on probability and is never fixed. While we tend to think of electrons as being perfect little spheres existing in a single position, they really can be found everywhere around the atom. Bright spots in the wavefunction show areas with a higher probability of finding one. Arsenic atoms in silicon are used as the building blocks of quantum computers, so understanding its elusive electrons helps with more advanced designs." "After a long day of drifting at sea, fishers go home with either a boatload of fish or nothing at all. 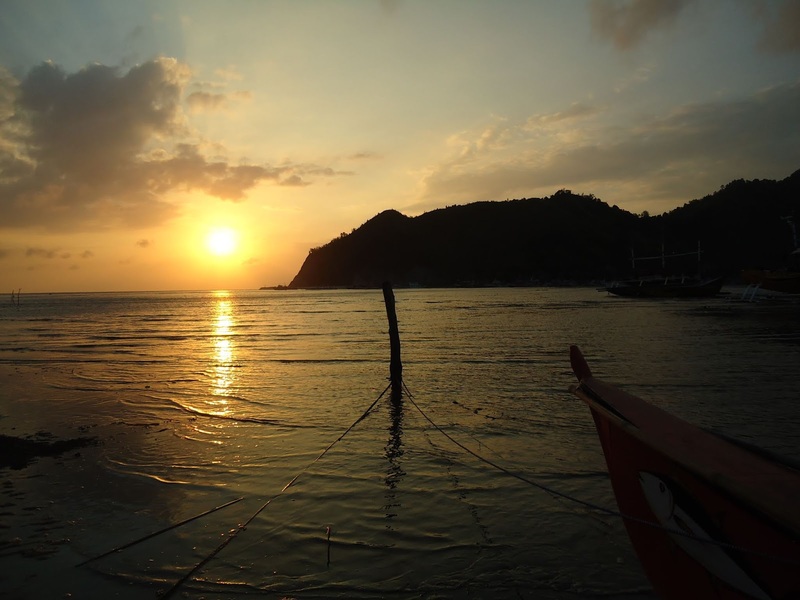 Sunset marks the end of a day’s work of a fisher who sails on a daily basis to make ends meet. This photo was taken during my ethnographic fieldwork in Davao Oriental, Philippines. Fishing as a livelihood closely embedded in the environment is very vulnerable to the impacts of climate change. The acute changes in weather patterns compounded by the influx of commercial fishing companies forced small-scale fishers to go further offshore which increases the costs of every venture. In a landscape marked by environmental degradation and marine resource depletion caused by natural and human-induced calamities, fishers are prompted to engage in a myriad of economic activities. In this research, I take a closer look at how these fishers navigate through the waves of uncertainty. Farming and wage labor becomes the community’s adaptive strategy in the midst of economic instability. As they safely moor their boats, fishers see the sunset as a symbol for the arbitrariness of their lives. The cyclic nature of the sun setting over the ocean brings the hope of a new dawn with new opportunities." World Health Day is Friday, April 5, 2019. Join University of Alberta Libraries in our treadmill desk challenge! What is the goal of the treadmill desk challenge? It's to see how many minutes (or hours!) we can accumulate by walking our way to health on our seven treadmill desks. 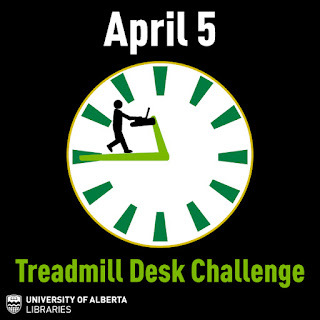 On April 5 we will post a sheet on each treadmill where you can log the amount of time you spent on the treadmill desk. No need to put your name, or any specifics, we just want to know how long you used the treadmill desk . Our goal is to accumulate more than 500 minutes by 6 pm. Help us by devoting some time to our treadmill desk challenge - the best part is that you can study, write or do whatever work you need to get done while being active. The announcement of how many minutes were completed will be announced on social media the week of April 8th. Thank you for joining us and supporting World Health Day! Have you used Statista to find visualizations of data and statistics to include in your papers or presentations? 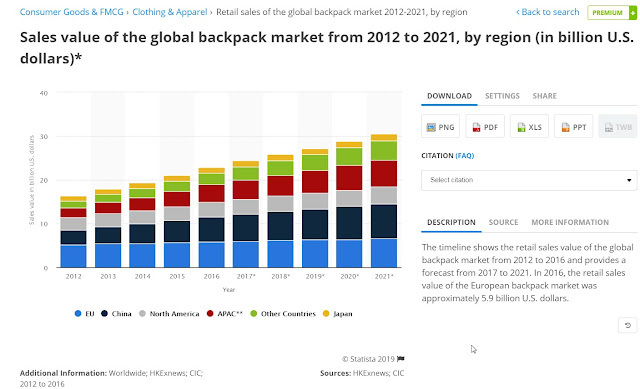 The University of Alberta Libraries recently added the premium version of Statista, a portal for marketing and consumer data and statistics, to its list of databases. This means you now have access to the complete data set both on and off-campus. Do you want to know about projected job growth by Canadian industry as you consider what discipline to study? Or maybe you need to know which social media platforms are used worldwide for your communications paper? Do you need statistics about backpack sales in a visual format for a business class presentation?